In my youth, I was quite partial to a bit of cinematic sci-fi (Bladerunner, The Terminator and Alien, you know the sort of thing) and I now have a teenage son who is equally partial to computer games in the same genre (and doesn’t always wear headphones while playing). So I’ve listened to more than my fair share or hi-tech, futuristic sound effects over the years. However, if I ever get asked to supply some sound design for an indie sci-fi film or video game project, I think I now know where I’ll turn for inspiration and source material; Zero-G’s Cyberstorm. 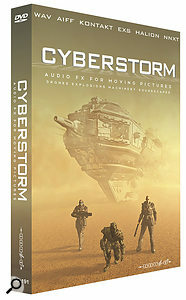 With about 2.3GB of sample data supplied in a number of formats to suit almost any audio host, Cyberstorm has been produced by Frédéric Devanlay who was also responsible for Zero-G’s Deep Impact and Perception Cinemascapes (both of which got positive SOS reviews in the past) and has worked on an impressive list of big-selling video game projects over the last 20 years. The collection of samples is divided into a number of categories and these give an instant flavour of what to expect; doors, drones, explosions, machinery, mecha, impacts, electronics, servos and weapons, for example. While similar categories of sounds appear in lots of sound effects libraries, the contents here are very much focused on futuristic sci-fi. So, for example, there are no standard handgun or rifle samples within the weapons category; instead it’s big, booming high-energy explosions (invoking something seriously big) or fizzing lasers laced with electronics. Equally, the servos and electronics categories suggest hi-tech, robotic sources. There are also some excellent soundscape samples that, if you just close your eyes, transport you into deep space aboard some massive intergalactic cruiser. Whatever the actual source of the individual sounds (and there is an interesting insight into this within the interview with M. Devanlay available at www.timespace.com), the processing of the sounds has given them a very futuristic feel. In terms of both the quantity and quality of the materials supplied, it is impossible to fault the library. Indeed, the quality of the sounds is very impressive with plenty of depth and lots of details that just make them seem very real. If you wanted to give a nervous person a meltdown, just lock them in a dark room and play them these samples at volume. And that’s exactly what I suspect film and game makers will be doing with Cyberstorm, because these samples are undoubtedly going to appear in a production near you very soon. 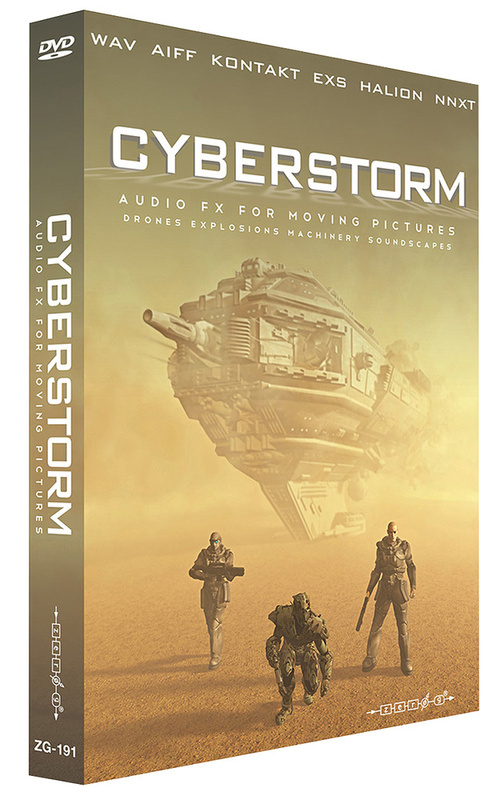 Cyberstorm is a bit of a niche product, but if you are after an instant dose of that Transformers vibe, this is it. Highly recommended.